At Pimlico Health Centre, we understand the importance of the integral approach of counselling and psychotherapy for conditions such as personal or work stresses, anxieties and depression. 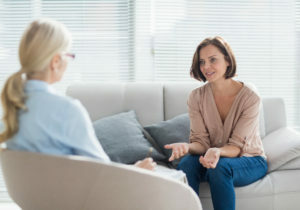 Working alongside a therapist can be very beneficial to explore and address issues and problems that may be negatively impacting your physical and mental-being. In-depth assessment and therapy alongside a General Practitioner reviews has shown to help patients over-come their symptoms in a more time-efficient manner. At our practice, we are fortunate to have Agneta Linberg as part of our team. Agneta has over 17 years’ of experience of being a Counsellor and Therapist, both within the NHS and Private Sector. She is an accredited psychodynamic counsellor with the British Association for Counselling and Psychotherapy (BACP). Agneta can help with problems ranging from anxiety, depression, stress, anger management, relationship problems, bereavement, sleep problems and confidence issues. Upon clinical assessment and review, Agneta can help with therapies such as CBT (cognitive-behavioural therapy) and psychodynamic therapy alongside counselling. These therapies can be helpful to explore and address underlying thought processes, which may have an impact upon the patient’s mind, behaviour and actions. Agneta has experience as the counselor for students at at Royal College of Arts and London & Regents University in Marylebone. Prior to this, she was a member of the multi-disciplinary Mental Health Team at the Soho Centre for Health & Care. ensuring a holistic approach in patient care and treatment. If you wish to book a consultation with Agneta, please contact our team and they will be happy to assist you to book your appointment. Initial consultations last upto 90 minutes – This will provide Agneta with a good foundation to understand and explore your health concerns. Subsequent follow-up consultations usually last 50 minutes, however if you feel you require a longer session Agneta will be happy to discuss this with you. If you wish to make an appointment or would like further information, please call our team on: 0207 592 0862. An initial assessment appointment helps you to discover if you feel comfortable with me, discuss what concerns you, ask questions, clarify confidentiality, and determine if therapy could benefit you. Cognitive behavioural therapy focuses on how your thoughts influence your feelings and actions. It recognises and addresses unhelpful thoughts that maintain the issues you encounter. The objective of cognitive behavioural therapy is for you to experience healthier thoughts and feelings. The National Institute for Health and Care Excellence (NICE – England and Wales) indicates CBT for depression, Generalised Anxiety Disorder (GAD), Obsessive Compulsive Disorder (OCD), panic disorder, Post Traumatic Stress Disorder (PTSD) and social anxiety disorder. Counselling centres on listening to you, and supporting you. You determine what issue concerning your childhood or adulthood you discuss. An aim of counselling is to enable you to speak about a difficulty and discover a way forward which is right for you. The National Institute for Health and Care Excellence (NICE – England and Wales) recommends counselling for depression. Psychodynamic therapy focuses on the unconscious causes of the issues you experience. It facilitates you in becoming conscious of aspects of your inner dynamics. Psychodynamic therapy aims to increase your selfcomprehension to give you choices. The National Institute for Health and Care Excellence (NICE – England and Wales) recommends psychodynamic therapy for depression and social anxiety disorder. Agneta Linberg – BA (Hons), MSc, MBACP.